I’m fairly pleased that these summaries of the things that have caught my interest in virtualisation have been getting so much traffic and even more pleased is that even though I didn’t post anything massive in particular I got my highest number of viewers last month to this blog with a week still to go which is always encouraging as hopefully some of the stuff I write about helps someone like so many of the websites I read have helped me. First is the imminent announcement of the vExperts for 2010. I would obviously be extremely honoured if I became one but I think I’d be in shock a lot more though as there are some really top people in the field. Next is a posting by Gabrie van Zanten (@gabvirtualworld) all about the default installation settings he does when setting up a vSphere 4 host. Some of the tips he mentions are ones I never thought about or knew so I’ll definitely be referencing his posting as well as Duncan Epping’s response to Gabrie’s posting all about his best practices/recommendations. I always enjoy finding these kinds of postings as sometimes these kinds of things you only learn having done many high level environment deployments etc and are also great tips for thoughts for my builds for my future VCDX attempt. Duncan has also done a two part blog posting with Frank Denneman all about swapping in your VMware environment and what metrics actually show performance degradation and how they are worked out. Franks posting gives more of a description on how the memory is calculated and describes the reasons for swapping happening in your environment and how to try avoid it happening and thereby impacting your servers performance. 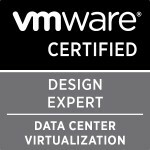 A few people have blogged about this but the first i saw it was on Virtualization spotlight a blog by Patrick Redknap. VMware have published a video KB on how to power off an unresponsive VMware ESX virtual machine. This video is a really useful one as quite a number of times I’ve battled to get a vm to shutdown correctly even after having tried rebooting services it stayed hung. “To calculate available resources and needed resources for a fail-over HA uses a concept called “slots”. Slots dictate how many VMs can be started up before vCenter starts yelling “Out Of Resources”!! Normally each slot represents one VM. A slot is a logical representation of the memory and CPU resources that satisfy the requirements for any powered-on virtual machine in the cluster. HA uses the highest CPU reservation of any given VM and the highest memory reservation of any given VM. If no reservations of higher than 256Mhz are set HA will use a default of 256Mhz for CPU and a default of 0MB+memory overhead for memory. So I went through all of my vm’s and found a few stragglers that had memory reservations that had been switched off for a while. Once i cleared these our empty slots went from zero to 85 due to two of the switched off machines having six gb’s of ram reservations. Eric Sloof has also recently posted a great posting all about adding resource pools and how these can impact the performance of your vm’s even if you think they aren’t. Speaking of VMware clustering options Cody Bunch has done a brilliant posting in the math behind the DRS stars. The math is a bit over my hear personally but math always has been so nothing new there. It’s very interesting how they work all these things out and a great bit of information for your setting up your DRS cluster. Whilst i was doing my HA testing i had a few questions of how HA works and due to our environment being a test lab it’s also an integral part of our work as a consultancy so I couldn’t test what happened for the differing options you can select for HA. So I asked on twitter and Kendrick Coleman (@kendrickcoleman) not only replied to me among other people but went and tested it out for me in his test lab and posted a very nice blog posting all about it. Glad I gave him an idea and thanks for the results Kendrick!! It’s much appreciated and is one of the reasons being on twitter is priceless if you work in IT. If you want to comment about my blog either leave me a comment and I’ll make sure I respond to you or add my on twitter via @greggrobertson5. Also congrats to the imminently crowned vExpert’s for 2010. Categories: Virtualisation | Tags: Cluster, cpu reservation, DRS, DRS stars, HA, memory reservation, power off an unresponsive VMware ESX virtual machine, resource pools, Slot sizes, vExpert, VMware, vSphere 4 host best practices | Permalink.